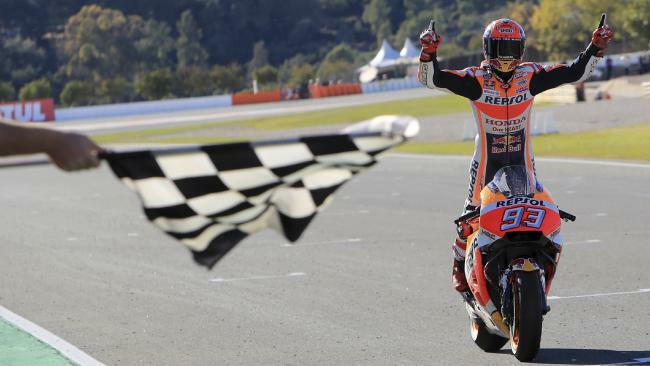 Marc Marquez sealed his fourth MotoGP title with after finishing third in the season finale at Valencia won by Dani Pedrosa, as Andrea Dovizioso’s championship hopes ended with a late crash. Dovizioso needed to win the race and hope polesitter Marquez couldn’t finish inside the top 11, but a crafty Marquez stayed out of trouble and was happy to finish third to secure the championship. previous post: BMW’s NEW G310 GS. At Home On Any Road And Ready For You To Ride at Procycles.